If I were a real tennis player I would probably take performance enhancing drugs! I played two hours of singles tennis Friday morning. Saturday morning I was still tired as I staggered downstairs for my cup of coffee. And I started thinking…..what if I was a real tennis player and even though I was really beat I had another match to play on Saturday. And what if winning that match meant I could keep my coach with me full time and losing meant traveling on my own with no support crew. Or what if winning was the difference between qualifying for a main draw or heading to the next event without earning a paycheque? Now if I could take something that would help me recover from my match faster so I could play my best in the next match maybe I would be tempted. I have always considered athletes that use performance enhancing drugs (PED) as cheaters. I always told myself if I was a real athlete I would never cheat like that. But when I really started to think about it and put myself in a real tennis player’s shoes I found myself challenging my beliefs. It would not be like PED would give me better ground strokes or make my backhand slice stay really low. I would just be able to play my best and after all isn’t that what my opponent would want? I also have a few sort of chronic tennis pains. The elbow that gets a little stiff and an old ankle sprain that throbs when it gets really cold out. Maybe there is a PED that could sort of erase those aches and pains. Again these little helpers wouldn’t give me a better volley or a more accurate serve they would just allow me to play at my best. Of course I would not go on a full steroid enhanced muscle building regimen so that I end up with biceps like Nadal, or engage in outright blood doping giving me the stamina of a marathon runner, now that would really be cheating. Just a little hit of maybe growth hormone to repair some damaged tissue or maybe a stimulant to help perk me up the day after a tight match. I guess if KT tape was considered performance enhancing there would be no one left playing matches on the tour. And what if everyone else is already taking PED then really all I am doing is making my playing field level. I wonder what statistically speaking my chances would be of getting caught by the doping police. There are hundreds of pro tennis players, scattered all over the world playing WTA and ATP tournaments and hundreds more struggling through the challengers and the futures circuit. And in reality there is a limited budget to fight doping and for that matter match fixing. I guess what I am really trying to say is that my “I would never cheat like that” bravado might be just a bit idealistic. In the reality that is the professional tennis circuit, important matches are played day after day and chronic injuries are a fact of life. Time away from the circuit to allow injuries to heal causes a drop in rankings often resulting in having to play qualifying matches prior to main draw matches. 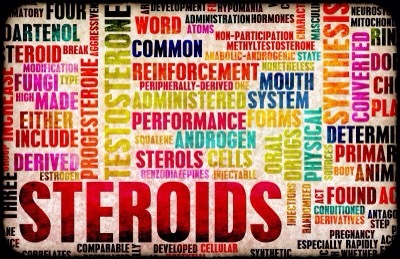 The temptation to use PED cannot be underestimated. When your livelihood and your passions are threatened that temptation may be too great to resist.